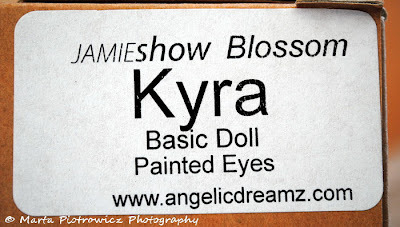 Home Basic Kyra BJD DollWhisperer JamieShow JamieShow Kyra Kyra Marta Piotrowicz JamieShow Basic Kyra has finally arrived! I haven't bought a new doll for my collection for quite a long time. Last addition to my collection was two lovely BJD Agnes Dready Stone Cold. 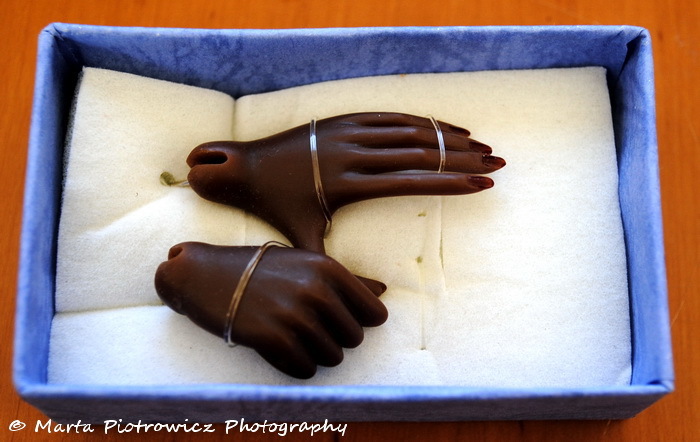 Lately I focused mainly on resin 16inch dolls which are nowadays 80% of my doll collection. I really like Mr. Tonner's BJD 16inch girls, I hoped that this year (20th anniversary of TDC) will be released a new one - with a new sculpt (I was dreaming about resin Mei Li, Daphne or doll with very dark skintone like f.e Kagiso or at least doll with honey/spice skintone like Jac or Esme; all the resin BJD 16inch dolls I own are white skin, and I wanted something new and exciting) but so far only one BJD Tyler with painted eyes was introduced - Tonner 2011 Convention 20th Anniversary Tyler Joyeux Anniversaire limited to 50 pieces worldwide. 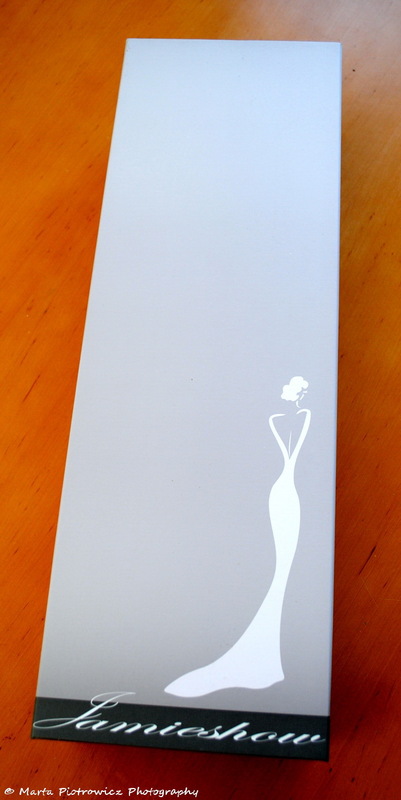 The doll is exquisite but I was expecting something brand new, something different. 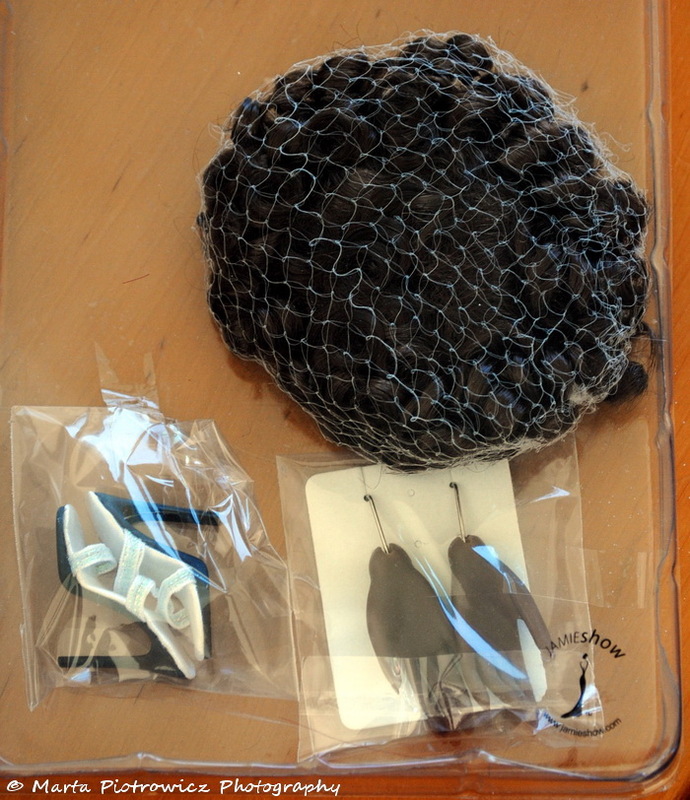 That's why, after few weeks of research and hesitations I finally decided to purchase JamieShow doll. 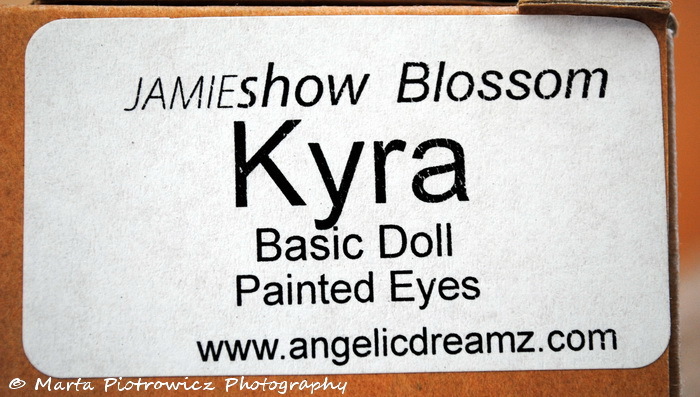 I've heard so many positive feedback from collectors who own JamieShow dolls, the resin, their beautifully sculpted bodies were very praised on many doll boards. I decided to buy Kyra - one and only doll with dark skintone. Today Kyra has finally arrived and I am in love with this doll, she has everything I need when comes to the resin fashion dolls: beautifully sculpted body, interesting real face, expressive hands, she poses amazingly, can stand and pose on her own, I love her dark chocolate skintone, I love her soft, smooth, SEAMLESS resin, the delicate body blushing, the way how her breasts, hips, ribbs, stomach and bellybutton are scuplted. I can't WAIT to see the results when you debox this lady and start playing with her! Gratuluję udanego zakupu! Ja również słyszę o JamieShow same pozytywne opinie. Gdzie nie spojrzeć, wszyscy wypowiadają się o tych lalkach w samych superlatywach :) Czekam na pierwszą sesję zdjęciową!